Triathlons are hard work and that’s the way they should be. But that doesn’t mean you need to suffer through all the stages. The right gear can make a huge difference, this means choosing the best triathlon shoes, the best triathlon wetsuit or even the best tri suit. 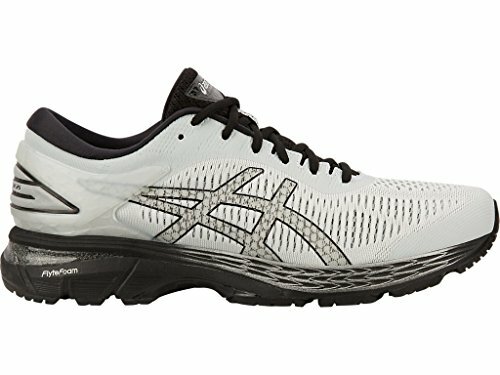 I’ve been lucky enough to test an array of the best triathlon shoes on the market and am confident in saying that the Asics Gel Kayano 25 is the best traiathlon shoes you can currently get. It’s what you find most comfortable that counts. I have to admit I spent a lot of time looking for the best triathlon bike shoes. This led to the question of whether it was better to have separate shoes for the running and cycling portions of the race. These are the best triathlon shoes if you’re looking to improve your times and start competing with the top runners. You’ll appreciate the gel in the heel and the Dynamic Duomax cushioning aid when you’re running long distance. This is complemented with the Flytefoam Lyte in the heel of your shoes. It provides better bounce and absorption helping you to get your stride right. At the front of the shoe is the Flytefoam propel which also improves the bounce while helping to boost the flexibility of the Asics Gel Kayano 25. This feature really works; I noticed my run distance improving because my feet weren’t getting tired from absorbing the ground shocks with every stride. The upper part of the Asics Gel Kayano 25 is made from a Jacquard mesh which allows air to circulate in and round your feet. This also helps to keep the shoes fitting comfortably; not too tight or too lose. It also has no seams and dries exceptionally quickly; ensuring your comfort at all times. This has been in previous versions of the Asics Kayano and is extremely effective at supporting your heel. It prevents it moving in the wrong direction; reducing the risk of heel or ankle injuries. Unfortunately the colors are limited. If you’re looking for a bright shoe you’re not going to find this one appealing. This doesn’t affect the performance but the Kayano 25 is definitely designed for those who prefer to let their running make a statement. This is not the cheapest shoe on the market but it is one of the best triathlon shoes that you’ll ever experience. Once you’ve tried it there will be no going back. Several customers have commented that the base, or sole unit, can feel bulky when you’re running. I haven’t noticed this but you should be aware of the issue. It is worth noting that this is the middle of the range Pearl Izumi EM Tri. The N2 stands for Neutral and the 2 stands for the cushioning levels. 1 is minimal cushioning and 3 is very cushioned. These provide the perfect balance. The seamless upper allows you to run without your feet being irritated. There is also a mesh material that ensures your feet stay dry and the air circulates; keeping them cool as you run. These are very comfortable but perhaps the best feature of the Izumi EM Tri is the energy foam in the front section. This helps to provide the bounce needed to keep running. At the same time the foam actually returns your energy to you; helping you to propel yourself along further or faster. It is also important to note that this shoe has a wide front; allowing your toes to spread out properly with each stride. The Izumi EM Tri is built to last. The construction is high quality and only the best materials have been used. This is to ensure the shoes will last you for a long time; obviously this is dependent on the number of miles you actually run. This is a practical measure to ensure you can dry your shoe faster when you need to. You can even wash the sockliner to help ensure your shoes don’t start to smell. However, it is worth noting that the sockliner will come out with your foot if you don’t have socks on. The Izumi EM Tri has a lace locking system which is supposed to help you get the shoes on quickly and comfortably. The stiffer back is there for the same reason. However, the lace locking does not work as well as you would hope. It can be very difficult to get it to secure properly round your heel and you’ll find the loop that is left will bang against your shoe as your run. This can be very annoying. The outsole is actually firmer than you think it will be. This may not actually be a disadvantage but it is something you need to be aware of before you start running. These shoes are comfortable but they will mold to your feet better after you have completed approximately 50 miles. Then you’ll really start to appreciate them. Of course the firm outsole can help if you’re thinking of using these for the cycling section as well. Personally I would recommend one of these best triathlon bike shoes instead. Make sure you try them on before you buy! The sizes are not as large as you think they will be. If you buy the wrong size your toes will feel cramped as you run; which will definitely impact the running stage of your triathlon. 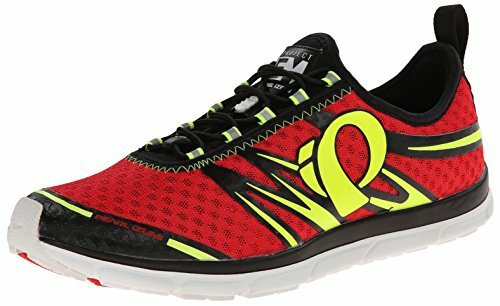 These are a great shoe for someone new to triathlons or on a limited budget. They offer comfort and durability at a reasonable price but there are a few downsides. The Zoot Ultra Race 4.0 does not have conventional laces. Simply slide your foot in and turn the dial on the top. This works in conjunction with the BOA Closure to pull the shoes tight. You can adjust the tension with the slightest move of the dial. This makes it great for reducing transition times. The sole is made from blown rubber to help ensure you don’t feel the bumps under foot. There is then a layer of carbon fiber which gives the shoe rigidity and helps to ensure your foot remains balanced. This is also the part that helps your heel and the front of your foot work independently; ensuring the best possible bounce and forward movement. On top of this is Z-bound foam. This provides the cushioning and helps to keep the shoe lightweight. You’ll also notice arch and bottom support with the foam. Zoot knows that you race on a variety of surfaces. This is why the outsole cushions you from the debris underfoot and the sole provides comfort. You’ll also benefit from a drainage system which removes water and helps prevent blisters. Alongside this is a solid upper and thicker material in the toe and the heel; your feet are protected! The Zoot Ultra Race 4.0 is a snug fit and many people will find it is too tight in the toe box area. It is advisable to purchase a size larger than you usually would. Of course trying on before you buy is a better idea. Interestingly, despite the protection offered by the Zoot Ultra Race 4.0 there is actually minimal padding in the heel area. This means you may start to feel the miles after you’ve done a few of them. These are a good quality shoe but not the cheapest on the market. Even as a budget offering you’ll need to think hard before you justify spending on the Zoot Ultra Race 4.0. For a little more you could get the Asics Gel Kayano 25. 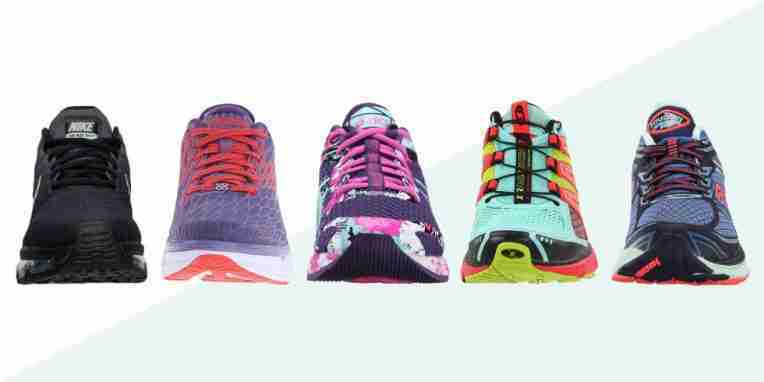 Choosing the best triathlon shoes is a personal decision. Comfort is one of the most important factors; specifically the support a shoe will give you as you run. You should also consider how easy they are to put on and whether this will affect your overall time. If the running section is short I will always go with my favorite triathlon bike shoes; the Mavic Cosmic Ultimate. But if it’s a distance run then it’s worth taking the time to change and, for me, nothing beats the Asics Gel Kayano 25. Whichever pair you choose try them before you buy to ensure the fit is right and then give them a little time to conform to your feet. They should end up feeling like a second skin.